All Cheval Residences are in the path of the Nikefuel Map London! London is a beautiful city and with an amazing transport system. Although this two caracteristics are all we look for in a city, sometimes they can get in the way of each other: how can you profit from the outside, if you're inside a tube station? Not to mentioned that it can makes us lazy. Let's be honest, who never got in the tube for a one station ride? Shame on us! That's not very healthy. Thinking about that and how to put more sport into our lives, +Nike made the NikeFuel Map London. Under the premise that "Life is a sport. 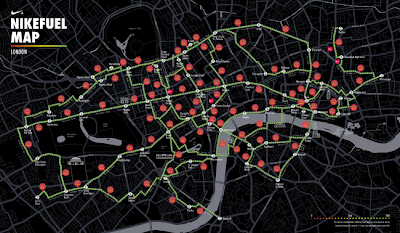 Make it count", Nike have reinvented the London Tube Map to highlight the fitness rewards of walking overground between stations. Download the map here. Nike have assigned each distance its corresponding NikeFuel point score, meaning the relatively short 330m journey from Covent Garden to Leicester Square could either cost you £4.5 in tube fair or earn you 50 NikeFuel points, depending which route you choose. The map itself is super stylish, put together by designer David Luepschen and UCL's Center for Advanced Spatial Analysis for Nike. The NikeFuel points are already use in their running app, to encourage runners to earn points and challenge friends. 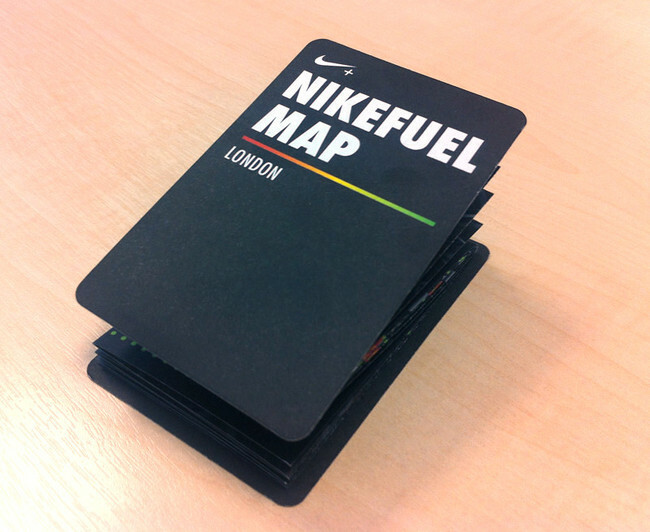 A pocket-sized version of the map is also available in key London Nike stores. Off course you can do the courses without any gadget, but if you want all the statistics off how much you walked, points earn, etc, you can purchse the Nike+ Fuelband here. Besides, for some journeys it's really not worth getting on the tube: Leicester Square is only 250m from Covent Garden; Charing Cross to Embankment is about 300m; Chancery Lane to Farringdon by tube requires two changes and 4 stations, but it is actually about a 500m walk. So, no "I don't have the time to walk" excuses!